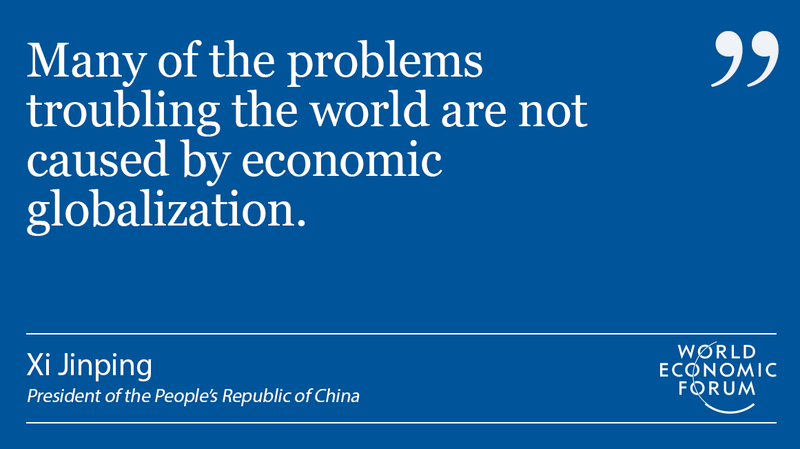 China’s President Xi Jinping delivered a detailed defence of economic globalization in an opening address delivered at the World Economic Forum in Davos this morning. 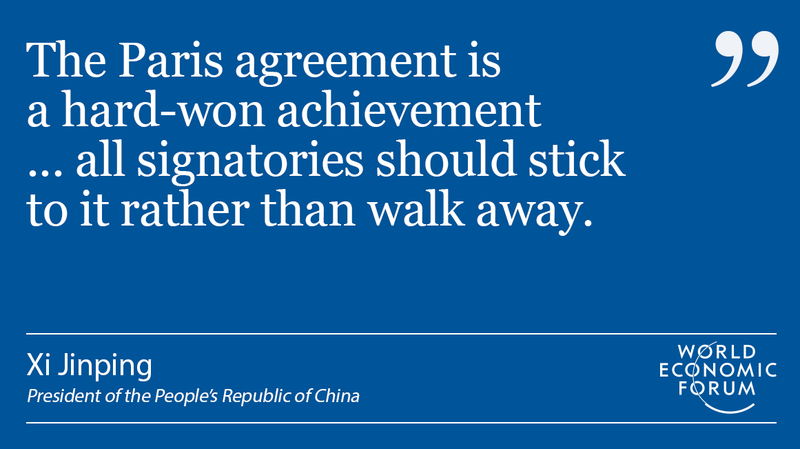 Since Donald Trump’s election victory, China has emerged as a potential new leader on the global stage – and today's address does little to soften the impression that President Xi is taking an increasingly assertive stance on matters of global trade and climate change. Here are some of the key quotes from the speech. "We should develop a dynamic, innovation-driven growth model." "The Fourth Industrial Revolution is unfolding at an exponential rather than a linear pace." "Countries have the right to development, but they should view their own interests in the broader context. And refrain from pursuing their own interests at the expense of others." “We should not develop a habit of retreating to the harbour whenever we encounter a storm, for this will never get us to the other side of the ocean." "Any attempts to cut off flows … and channel the waters of the ocean back into lakes and creeks is simply not possible and runs against historical trends." "No one will emerge as the winner in a trade war." "We must promote trade and investment, liberalization and facilitation through opening up – and say no to protectionism." "China has no intention to boost its trade development by devaluing the renminbi ... still less by launching a currency war." "It is important to protect the environment while pursuing economic and social progress – to achieve harmony between man and nature, and harmony between man society." "We Chinese know only too well what it takes to achieve prosperity so we applaud the achievements of others and we wish them a better future. We are not jealous of others' success and we will not complain about the others who have benefited. We will welcome them aboard the express train of Chinese development."